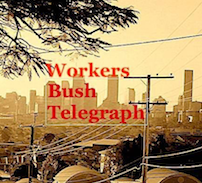 The first public campaign challenging the destruction of public housing through the building of freeways throughout Brisbane under the Wilbur Smith scheme was waged by a small group of activists and residents. Bowen Hills residents won this struggle with the help of these radical activists. We are seeing this privatisation of public land repeated in Brisbane in inner city suburbs of West End, the Gabba, East Brisbane and Toowong. There is a growth of privately owned public space that excludes the poor and homeless. Starting in 1972, inner-city residents of the city of Brisbane in Australia struggled against the Queensland Government’s plan to build a freeway that would destroy their community. The residents were offered inadequate compensation for their properties and the State government was cold-hearted and dismissive of the community’s concerns. As their voice went unheard, the residents decided to change tact and joined together in and effort to make the Government “sit up and take notice” of them. The residents ultimately won the battle. The freeway was never built. Unfortunately their victory came at a price with the partial dismantling of their community in the process. The State library of Queensland tells their story. 11 November 1972 (Saturday): “The Brisbane Freeway Protest and Compensation Committee” was formed. 16 September 1973 (Sunday): The Freeway Protest Committee occupied a house at 28 Hurworth Street, Bowen Hills, that had been resumed by the Main Roads Department. Trade union support was given to restore gas and electricity services. Building unions agree to ban the demolition of houses in the path of the proposed freeway. 30 September 1973 (Sunday): Anti-Freeway Festival held at Hurworth Street. Base of support widens. The protesters now include the involvement of local residents, students, Unionists, CPA members, Young Christian Workers etc. 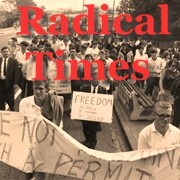 25 October 1973 (Thursday): The Freeway Protest Committee occupied a resumed house at 5 Markwell Street, Bowen Hills. 27 October 1973 (Saturday): 5am police raid on both occupied houses, over 50 police with main roads officials smashed down doors with sledgehammers to evict six people from each house. Two arrests. 24-hour police guard posted on both houses. 29/30 October 1973 (Monday/Tuesday): 5 Markwell Street was demolished using scab labour. Emotional reaction by Bowen Hills residents. December 1973: Local resident, Guilio Cerasani, donated the use of an empty house at 15 Markwell Street for the protest group to use as their base of operations. This was a sign of the strong and growing support by local residents for the protest movement. 2 June 1974 (Sunday): The Freeway Protest Committee occupied 13 Markwell Street with the intention to repair the house for re-use as temporary housing. 3 June 1974 (Monday): Police raid on 13 Markwell Street. 24-hour guard placed on the house. 5 June 1974 (Wednesday): 13 Markwell Street was demolished using scab labour. 200 demonstrators battled police in a violent clash. 3 arrests. 9 June 1974 (Sunday 10am): Well-attended public meeting at 15 Markwell Street. 12 June 1974 (Wednesday): Demonstration – over 200 marched to Main Roads Department. Distribution of leaflets. 1975: The Freeway Protest Committee was dissolved in early 1975 when freeway construction was postponed. The group immediately re-formed as the Public Transport Action Group. By 1985, the plans for freeway construction were completely cancelled due to community opposition and funding issues.